When I was in elementary and middle school, my mom would take me to the grocery store. 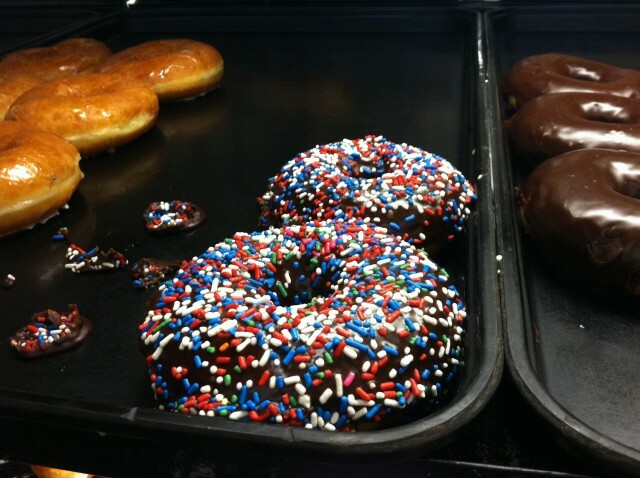 Sometimes I really didn’t want to go (shocking I know), but what got me through was knowing that I could pick out my very own chocolate frosted donut with rainbow sprinkles as soon as we entered the store. My mom was kind enough to let me do this, although I’m sure it was her way to keep me occupied and happy while she shopped for groceries in peace. I got so excited to eat the 39 cent treat and savoured every bite as we pushed the cart down each aisle. I would save my sticky wrapper and proudly show the check-out clerk that I had finished the donut and didn’t forget to pay. One time I actually did forget to pay and that horrible, guilty feeling came rushing back from when I stole a piece of chicken off a Chinese food buffet when I was 13. I quickly ran back in the store and gave the clerk 39 cents. Eating that donut while we shopped became a tradition for me and those memories still make me smile today. But recently, I’ve discovered a new tradition as I shop at the grocery store, and it doesn’t involve dough or sprinkles. It involves fresh, organic fruits and veggies blended together in a juicer and I can’t get enough of it! 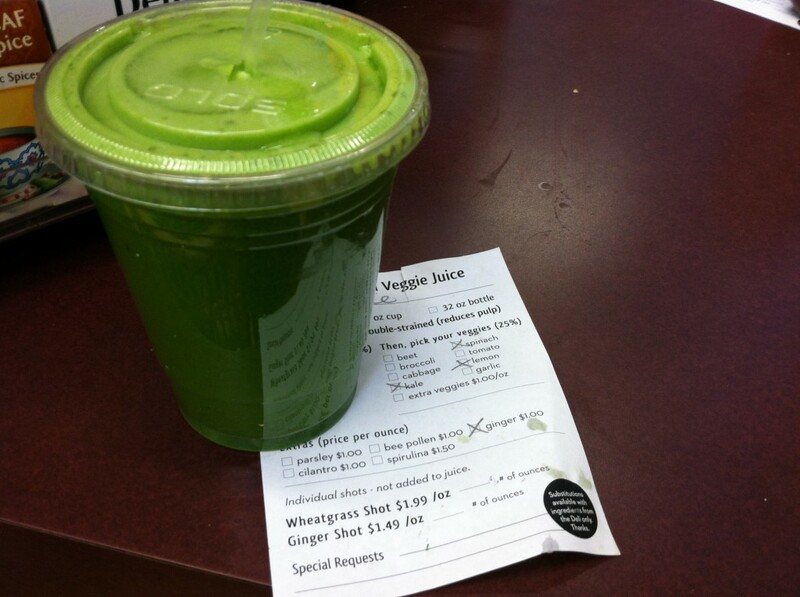 As soon as I enter our local co-op, I go straight to the juice counter, fill out my order form and check: kale, apple, ginger, lemon, spinach, celery, & cucumber. 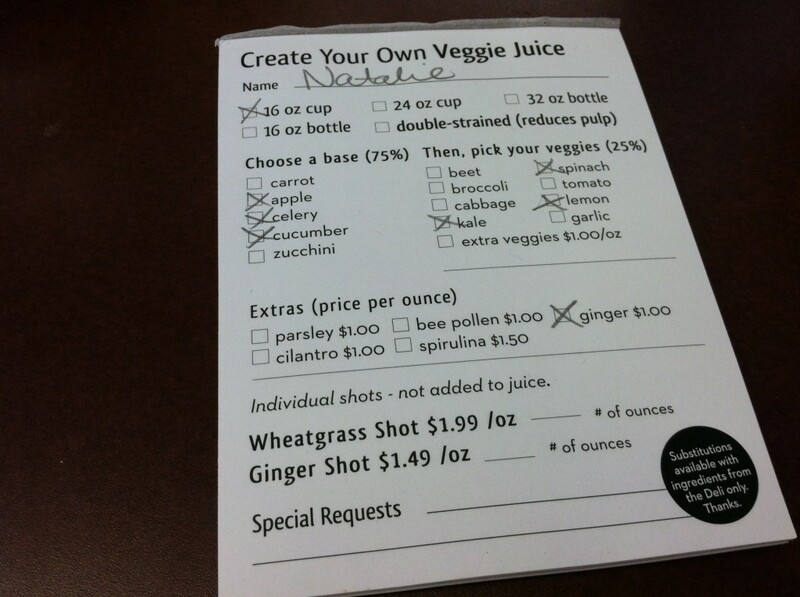 Since it takes a few minutes for the VERY friendly people to make the juice, I start my shopping. And after about 5 minutes, my juice is ready with my name on it, and I finish my shopping with a real treat in hand. A treat for my body and my mind. Now that I’m older and shop sans mommy, it’s nice to know that I’m giving my body what it actually needs and craves to perform at it’s best. Sure a donut every once in awhile is great, and I truly believe in treating yourself and indulging, but I’m so happy about my new tradition and so are my insides. If we could retrain ourselves to crave the good stuff, I think we’d all feel a lot better, be happier and DEFINITELY healthier. After drinking the juice, I instantly feel more energized and alert. When I go to pay for it at the counter, it’s no where near 39 cents. It’s a $6.99 treat. And therein lies the problem. Something that is so good for us, costs so much more than something that is bad for us. No wonder most of America is obese. Now to be fair, I was eating those donuts in the 90’s, so I’m sure they’re up to 89 cents by now 😉 And it would be cheaper for me to juice at home, but it’s kind of a pain in the bootay. So I was also paying for convenience, but STILL! 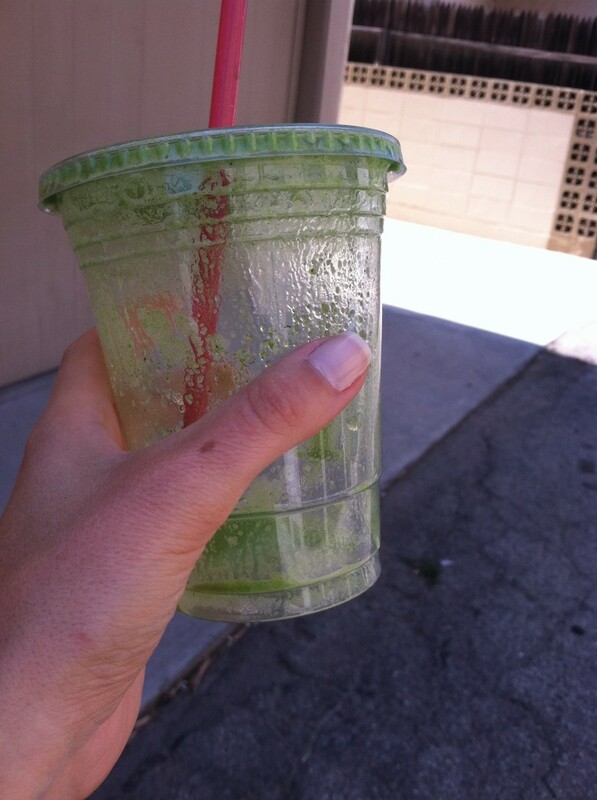 I hope we’re closer to the day when a green juice is cheaper than a soda, fake coffee drink or donut. Regardless, I choose to invest in my health and pay a little extra to get the good stuff in my body. Not everyone can do that right now, but I have to believe we’re on our way. My favorite thing to do at the grocery store too!!! SO freakinngggg delish.